We’d love your help. 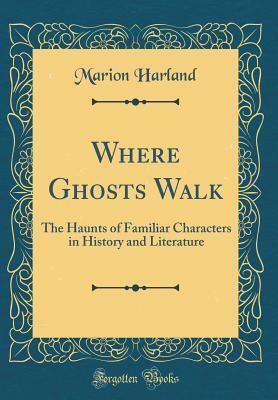 Let us know what’s wrong with this preview of Where Ghosts Walk by Marion Harland. HE supping-room of Mary Stuart, in Holyrood Palace, is the smallest of the royal suite. It is a mere closet, and now bare and depressing to a degree utterly incompatible with our ideas of tolerable comfort, until we remind our selves that the stone walls were once masked by richly wrought hangings and the cold ﬂoors softened by carpets brought, or imported, by Mary into rug ged Scotland from her beloved France. 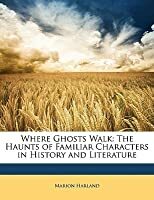 To ask other readers questions about Where Ghosts Walk, please sign up. Mary Virginia Terhune (née Hawes), also known by her penname Marion Harland, was an American author. At age twenty-three she won a $50 prize from the Southern Era periodical for her article on temperance. Encouraged, she published her first novel, Alone, to great acclaim. Despite giving birth to six children and running a household, she never stopped writing, eventually publishing twenty-five nove Mary Virginia Terhune (née Hawes), also known by her penname Marion Harland, was an American author. At age twenty-three she won a $50 prize from the Southern Era periodical for her article on temperance. Encouraged, she published her first novel, Alone, to great acclaim. Despite giving birth to six children and running a household, she never stopped writing, eventually publishing twenty-five novels and three volumes of short stories, as well as numerous books on travel, biography, colonial history, and domestic guidance. She has long been dismissed as an unimportant writer, partly because of her phenomenal output (I think many critics assume that such quantity can't be of high quality) and partly because of the fact that those who cherish the ideals she advocated do not ordinarily go looking for forgotten women writers. Terhune's three surviving children also became authors.